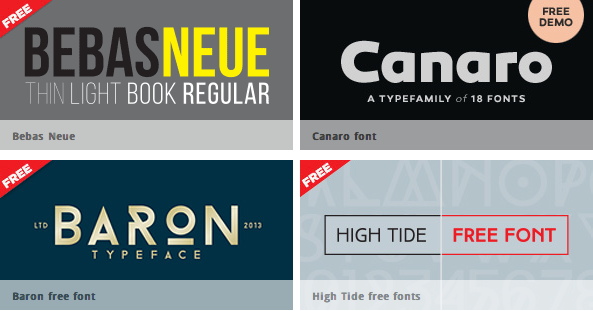 If you haven't visited Fontfabric for awhile and you're a compulsive typeface hoarder, it's probably time to go check out their freebies bin again. This time I'm going to grab High Tide. It's High Tide Sans, one of the three included in the free font bundle. Oh, ok. Haha. No tricky shenanigans going on, then. Cool! Unfortunately I don't have a computer now, so I haven't got the opportunity to download fonts. Thanks for the link, Elisabeth. I'll check it out!